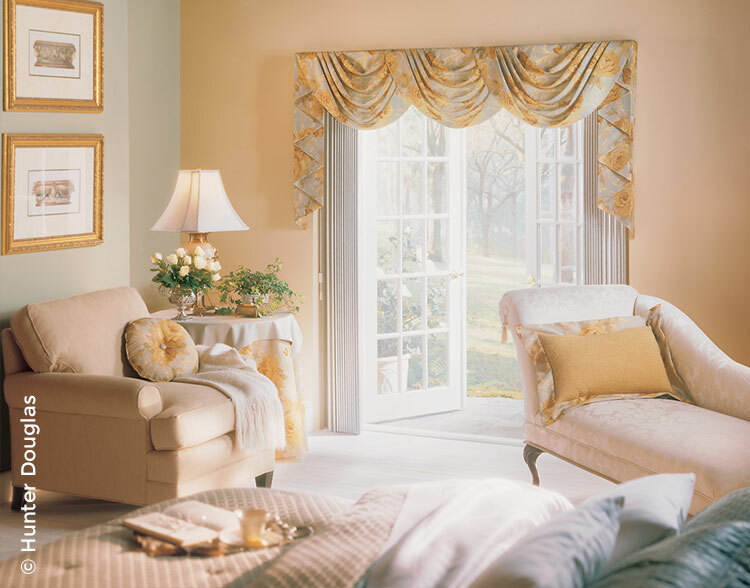 Draperies add a finishing touch to your décor. 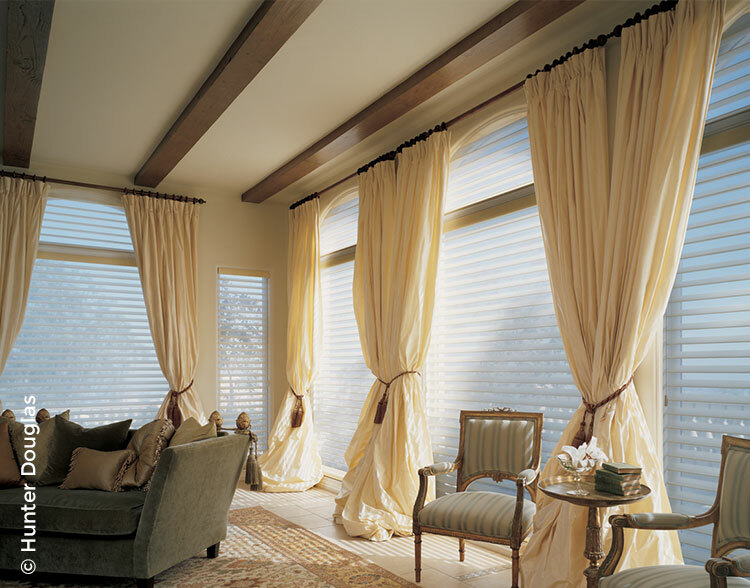 Think about layering your windows for function and fashion. 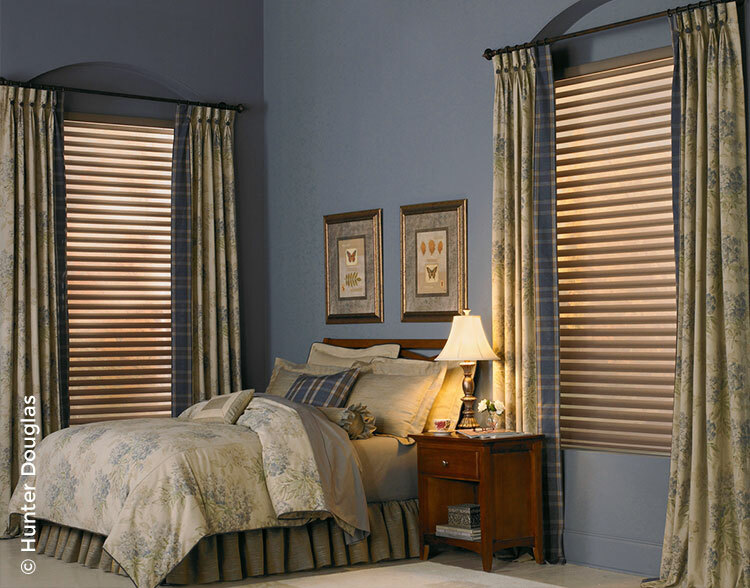 Shades, blinds, even shutters, are enhanced when topped with custom draperies. Top treatments are perfect for French and sliding glass doors, providing a finished look without interfering with the door’s function. 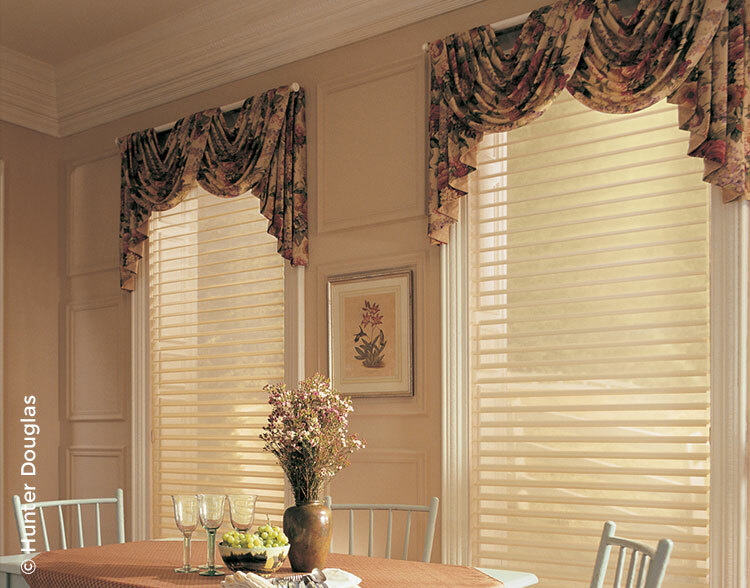 Sometimes less is more, so a stylish top treatment softens the window without the volume.